These large tote bags are perfect for anytime you have your hands full! You will be surprised how much can fit in our generously sized and super sturdy totes. 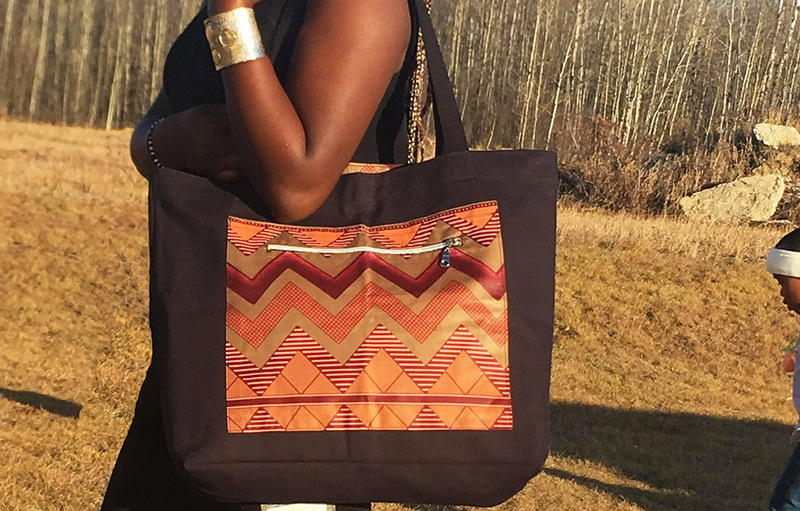 Each bag is fully reversible, giving you 2 unique looks, with brilliant African wax print on one side and durable black canvas on the other. The bags feature two large pockets, one with zipper closure.